EVERETT — Ottavio’s barber shop, with its owner’s accent still tinged with traces of his native Sicily, bustles a few doors down from a Haitian grocery store and across the road from a kiosk where immigrants can wire money to Brazil. Welcome to Main Street in Everett, where the percentage of immigrants has tripled since 1990 to 33 percent, one of the biggest increases in the state, according to US Census Bureau estimates released yesterday. It is a shift repeated across the state, with immigrant numbers rising in small cities and prosperous suburbs that once had far lower levels of foreign-born residents. Some are moving for affordable housing and safer streets; others for the prestige of a tonier neighborhood. All are generally seeking better schools, aware that an education is their ticket to a better life. The figures released yesterday offer the fullest portrait yet of the impact of immigration on Massachusetts cities and towns since the last US census in 2000. The figures reflect five years of survey data, from 2005 to 2009, and are estimates. Overall, immigrants make up 14 percent of the state’s population, up from 12 percent a decade ago, the figures show. Cities where immigrants have traditionally settled held steady, with more than a quarter of the population still composed of immigrants in Boston, Somerville, and Cambridge. Chelsea had 38 percent immigrants, the largest percentage in the state. But the census figures also suggest that immigrants are charting new territory. Immigrants are now at least 10 percent of the population in 88 cities and towns, compared with 61 cities and towns in 2000, according to the Donahue Institute at the University of Massachusetts, which analyzed the numbers. In Malden, an influx of Chinese, Haitian, and Brazilian immigrants helped the immigrant population skyrocket to 37 percent, the second highest in the state, from 26 percent in 2000. In Revere, where the immigrant population is 27 percent, double the figure in 1990, delicatessens and bodegas serve a significant population from Asia, Europe, and Latin America. In Waltham, immigrants rose to 24 percent of the population, attracting many from Guatemala and India. Susan Strate, population estimates program manager at the Donahue Institute, said the younger immigrant population moved in to replace an aging population in Massachusetts. Many immigrants work as home health aides and in nursing homes. About 35 percent of immigrants in Massachusetts hail from Latin America, while 27 percent are from Asia and 26 percent are from Europe, according to the data. Unlike states such as Texas, where immigrants tend to have lower education levels, Massachusetts is home to substantial numbers of both highly trained professionals and low-skilled laborers. About 34 percent of immigrants in Massachusetts have a bachelor’s degree or higher, just below the US-born population. It is this highly educated population, largely from Asia, that appears to be fueling growth in suburbs such as Lexington, Acton, and Belmont. Immigrants are now 19 percent of Acton’s population, up from 14 percent in 2000. In Belmont, immigrants rose from 15 percent a decade ago to 20 percent. Ravi Sakhuja, a 66-year-old engineer born in India, said that immigrants are flocking to Lexington, where they make up 20 percent of the town’s population, for better schools. He should know. His mother often warned him that he would be sweeping the streets if he did not study, and she would stay up all night with him as he worked. She had an eighth-grade education, but he graduated from MIT. Yet after becoming a US citizen, like almost half of the immigrants in Massachusetts, he still can feel like an outsider because of his accent and background. “In Lexington, to be an insider, you have to be here for 100 years,’’ he joked. But he has also found ways to fit in, winning a seat on the School Committee from 2006 to 2009. Khalil Khatri, a dermatologist and president of the Association of Pakistani Physicians of New England, said immigrants are drawn to the suburbs by schools, but also a chance to move up. 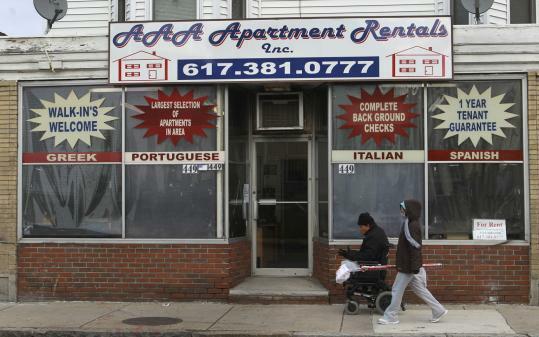 The increase in immigration in Massachusetts is drawing praise and concern. Steven Camarota — director of research for the Center for Immigration Studies, which favors stricter controls on immigration — said immigrants in Massachusetts are more likely to rely on government assistance than US natives. He said those with low education levels could be competing for jobs with youth and less-educated US-born residents. “In Massachusetts, because it has had weak job growth but relatively high levels of immigration, it raises concern,’’ he said. But Westy Egmont, cochairman of the Governor’s Advisory Council on Refugees and Immigrants, said immigrants are starting new businesses and creating jobs across the state. He said government investments in programs that benefit immigrants, such as English classes, could pay off in the long run. Of the 80 percent of immigrants who speak another language at home in Massachusetts, about 45 percent are not fluent in English. “This is not a subculture that is pulling away, but pulling us ahead,’’ he said. The Census Bureau does not collect data on illegal immigration, but the Pew Hispanic Center estimates that nearly 1 in 5 immigrants in Massachusetts is here illegally. In Everett, barber shop owner Ottavio Lo Grasso, a 58-year-old immigrant from Sicily who came here in 1972, said the latest waves of immigrants are replacing Italians who moved to more comfortable suburbs, such as Lynnfield and Wakefield and Saugus, where he lives. towns and cities in Mass.